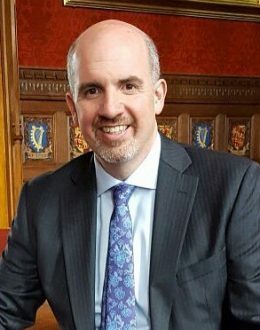 Thom Brooks is an award-winning author, broadcaster, columnist and senior policy advisor to the Labour Party – and the UK’s only Professor of Law and Government. He has 900+ media appearances and frequently comments on national and international television, radio and in print media. Brooks’s work has been cited regularly in Parliamentary debates, he is quoted by the Electoral Commission in support of their recommended changes to the Brexit referendum ballot endorsed by Parliament, he is quoted by the Connecticut’s Supreme Court in Santiago II in support of its ruling that the death penalty is unconstitutional and now being considered in Steskal by the California Supreme Court, he is noted by RCUK as developing one of the top 100 big ideas in British universities and he received the Distinguished Alumni Award from Arizona State University in 2017. Thom Brooks has supported public understanding of the UK’s immigration for two decades and regularly provides advice to migrants. As inaugural Dean of Durham Law School, Brooks is leading the most significant transformation in its 50-year history doubling the School and reaching its best position now ranked 40th in QS World Rankings 2017 and National Student Survey. These achievements were recognised in Parliament in Early Day Motion 875 in the House of Commons. Brooks has represented Durham University abroad standing in for the Vice-Chancellor and sits on several University-level committees overseeing issues like non-staff budgets, governance reform and workload. He lives in County Durham, UK.